Work in a stuffy office? Live in a city? Well, the stylish EcoQube Air could be a breath of fresh…well, you know. 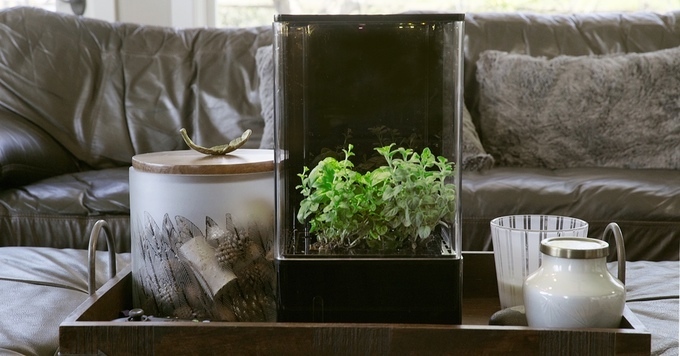 Billed as “The world’s first desktop greenhouse,” the EcoQube Air promises to improve your quality of life. And just how does it plan to live up to this bold claim? Well, it’s a combination air filter, humidifier, LED light, and hydroponics system, and all of these elements play a part. According to the tech whizzes at Aqua Design Innovations, the air is first sucked in and cleaned by two filters that remove dust, mold, pollen and indoor chemical pollutants. 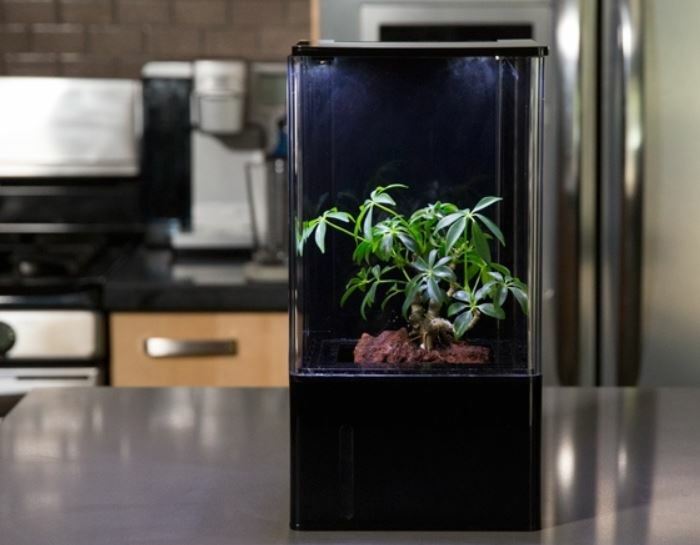 Next, your plant itself filters the air further and reoxygenates it. Then the EcoQube releases the cleaned air back out into your room. That’s 460 cubic feet of clean air every hour. You’re welcome, lungs. What role does the LED light play? Well, if you love plants but don’t have a space with direct sunlight, the full-spectrum LED light will supply specially designed rays to boost the growth of your mini greenery. The light can help you flourish, too. 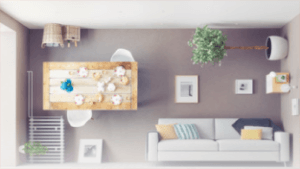 “According to studies conducted by Exeter University, plant-rich environments providing clean air can boost creativity and productivity, improve your mood, reduce stress, and energize your body,” they say. The phone app also lets you schedule light when your plant needs it most; change colors; and adjust weather options, such as adding a lightning storm. Bringing a little bit of nature into your day-to-day life can only be a plus. And when you combine that with the joys of growing food, flowers or lush green plants, it’s the real deal. 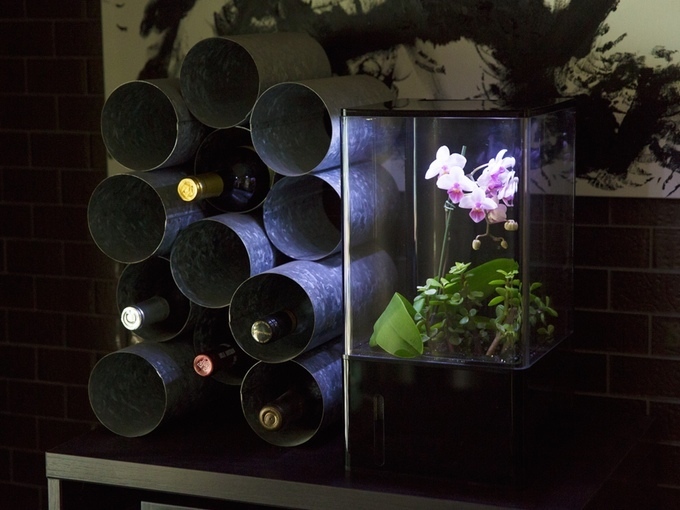 Your friends, co-workers and family members will be really, um, green with envy when they catch sight of your soothing, stylish plant aquarium. Think of it as living, healthy, ever-changing art. 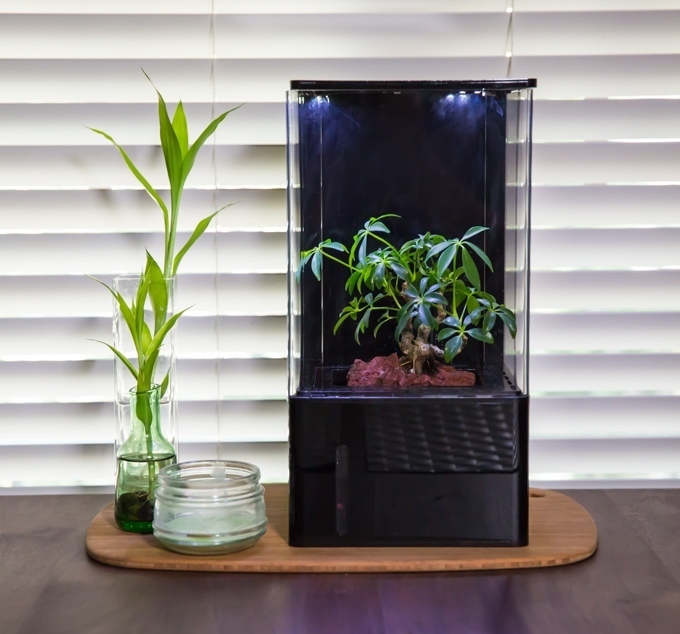 The EcoQube Air burst through the finish line of its Kickstarter campaign, raising a whopping $306,524 and easily surpassing its original goal of $25,000. The team expects to ship orders to domestic backers in November, with full production launching in February 2017.